Bristlecone hosts a bowling pin shoot every Monday night at 5PM and 7PM. $15 per participant. Call 303-985-0989 to register. Online registration is not available. Due to limited capacity, no shows will not receive a refund. Substitutions are allowed. Pistol or revolver (9MM or greater for semi-automatics and .38 special for revolvers). Bowling Pin matches are bracketed head-to-head double elimination competitions. There will be 2 brackets (winner and loser), with the main bracket consisting of 26 shooters. There is a handicap system in place to ensure a fair match. Prizes will be provided by Bristlecone Shooting nightly. Come show us your competitive side! Our USPSA Matches are the third Wednesday of each month at 6PM. Participants must arrive at 5:30 for registration and a shooters meeting. $18 for Members, $20 for Non Members. Call 303-985-0989 to register. Safety card for ECO matches. 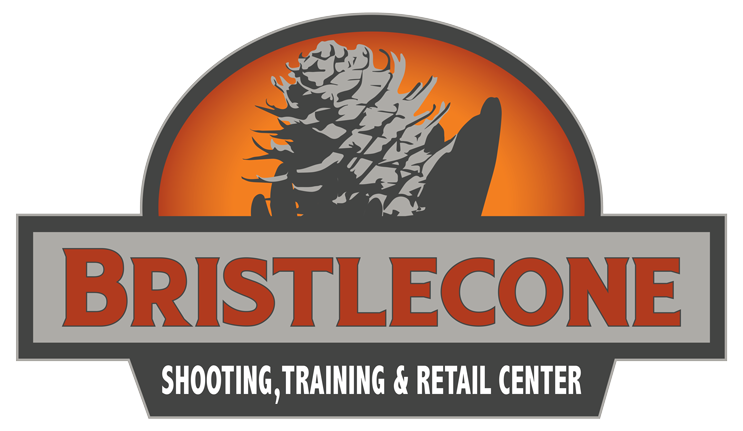 Bristlecone offers a Introduction to Competitive Shooting class that will teach you the necessary skills and get you your safety card if you don’t already have one. Please check our training calendar for details. USPSA sanctioned match. 4 stages run on our tactical and pistol bays. The Glock Shooting Sports Foundation Matches are a series of three matches conducted over a 3-month period. Participants must be current GSSF members and compete in two of the three matches to qualify for plaques and prizes, all provided by Glock. If you are not a member, you may join on-line at this web-site (http://gssfonline.com/registration.cfm), or upon registration at a GSSF League Match. Participants may shoot ANY GLOCK pistol. Each separate pistol used during the match will be a separate entry. Participants’ two best scores of each entry during the series will be totaled and averaged at the end of the 3-match series. If a shooter competes in only two matches, his/her scores for each entry are totaled and divided by two. If a shooter competes in all three matches, his/her best two scores for each entry are totaled and divided by 2. The result is one final score for each entry, which is then listed in the overall order in which he/she finished. The overall list is then divided into thirds, with the top one-third considered “A Class,” the second one-third is “B Class,” and the final one-third is “C Class.” Plaques are awarded to the top competitor of each class. Unlimited Class is available for non-stock GLOCK Pistols.